Product - DREYER'S Slow Churned Triple Filled Salted Caramel Cores Ice Cream – Rich, Creamy and Light Cookie Dough Ice Cream with Three Decadent Caramel Cores, 1.5 Qt. DREYER'S Slow Churned Triple Filled Salted Caramel Cores Ice Cream – Rich, Creamy and Light Cookie Dough Ice Cream with Three Decadent Caramel Cores, 1.5 Qt. Product - ROLO Ice Cream – Rich and Creamy, Decadent Frozen Dessert Made with Mini Rolo Candy Pieces, 1.5 Qt. ROLO Ice Cream – Rich and Creamy, Decadent Frozen Dessert Made with Mini Rolo Candy Pieces, 1.5 Qt. 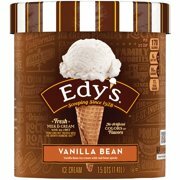 Product - DREYER'S Slow Churned Triple Filled Rich Caramel Cores Ice Cream – Rich, Creamy and Light Caramel and Vanilla Ice Creams with Three Decadent Salted Caramel Cores, 1.5 Qt. DREYER'S Slow Churned Triple Filled Rich Caramel Cores Ice Cream – Rich, Creamy and Light Caramel and Vanilla Ice Creams with Three Decadent Salted Caramel Cores, 1.5 Qt. Product - DREYER'S Slow Churned Triple Filled Creamy Chocolatey Cores Ice Cream – Rich, Creamy and Light Red Velvet and Vanilla Ice Creams with Three Creamy Chocolatey Cores, 1.5 Qt. 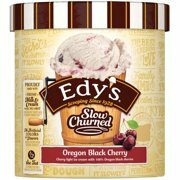 DREYER'S Slow Churned Triple Filled Creamy Chocolatey Cores Ice Cream – Rich, Creamy and Light Red Velvet and Vanilla Ice Creams with Three Creamy Chocolatey Cores, 1.5 Qt.